At the LAC we believe the best way to learn and grow in your gifts and talents is through private instruction. In which ever lesson you decide to invest, you will receive the individual attention you deserve with a well-rounded course of study designed especially for you to achieve your personal and musical goals. Our teachers are highly qualified and trained in their particular field. They each have the experience to offer instruction to musicians of any age and skill level. Each of our instructors are Christians and believe it is important to encourage their students to grow in their God-given talents. 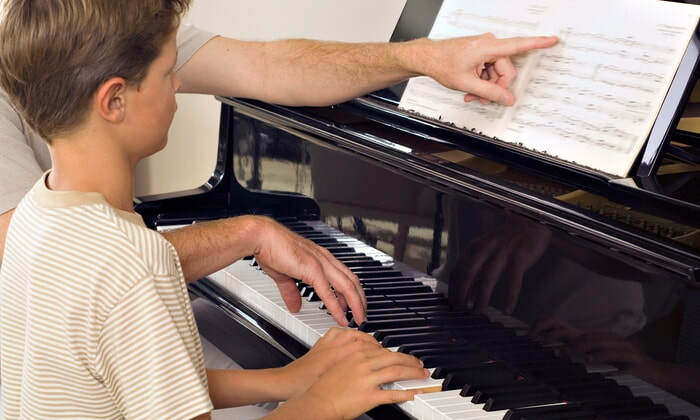 Regular attendance is crucial to the instruction and success of a musician; therefore, upon registration, music students are assigned a specific teacher and a lesson time will be reserved just for you. Fees for missed lessons are forfeited. Fees listed are per pay cycle, and you will be invoiced accordingly. Private lessons meet once a week for either 30 minutes, 45 minutes, or one hour. ​Each semester will consist of a set number of lessons. Learn the basics of healthy vocal production and improve your singing voice in a fun and comfortable setting. This class will cover vocal tone, range, posture, breath support, resonance, articulation, and vowel unification by using song excerpts. This class is great for adults with little or no previous vocal training who want to learn to sing in a healthy way as a soloist or choral group member. Each term (Fall and Spring only) you will be charged a $25 family registration fee. Students must provide their own instrument (except drum set and piano). There will be a $10 recital fee for any students performing in the Winter and/or Spring Recital.